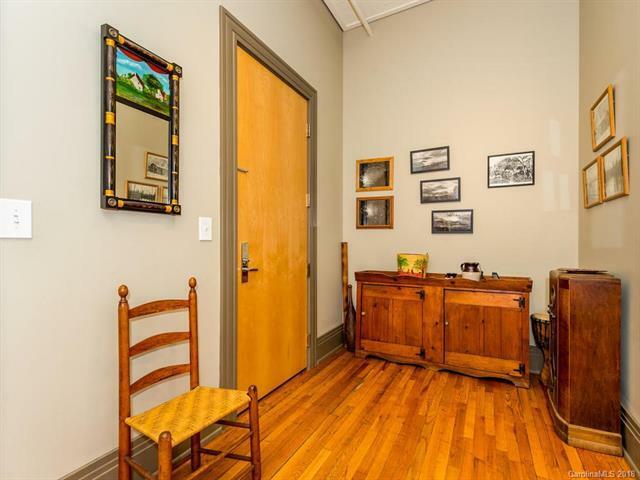 52 Biltmore Avenue #400, Asheville, NC 28801 (#3459209) :: Robert Greene Real Estate, Inc. 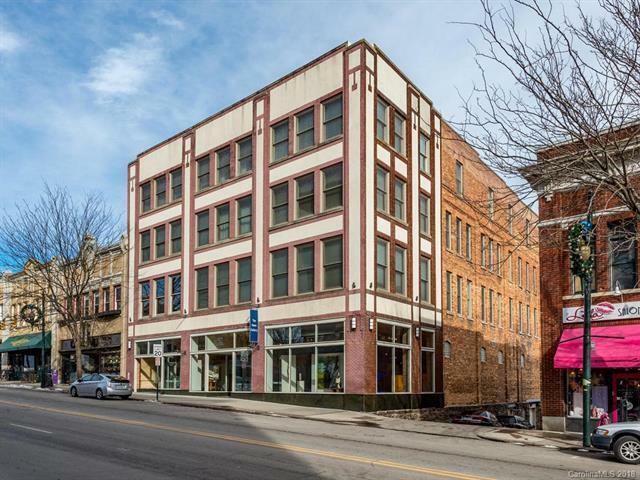 SPECTACULAR LOFT CONDO IN DOWNTOWN ASHEVILLE w/ an exhilarating cityscape view and a glimpse of the mountains! This is your urban sanctuary to become immersed in Ashevilles culture. 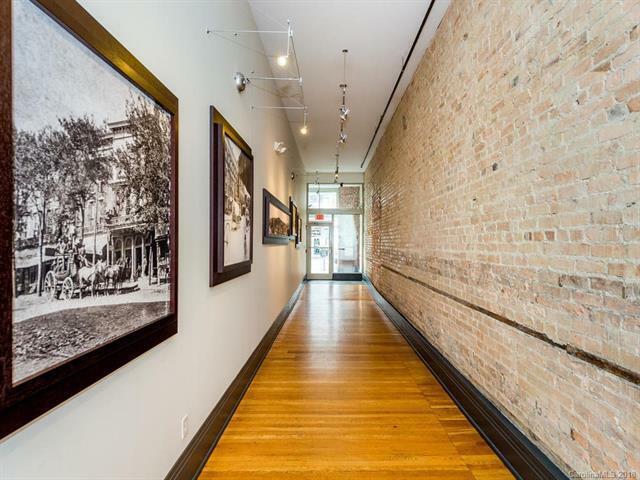 Within only a block, find cafes, art galleries, fine dining, brew pubs, a performing arts theatre, a cinema, a major music venue, boutique shops, & a grocery store. 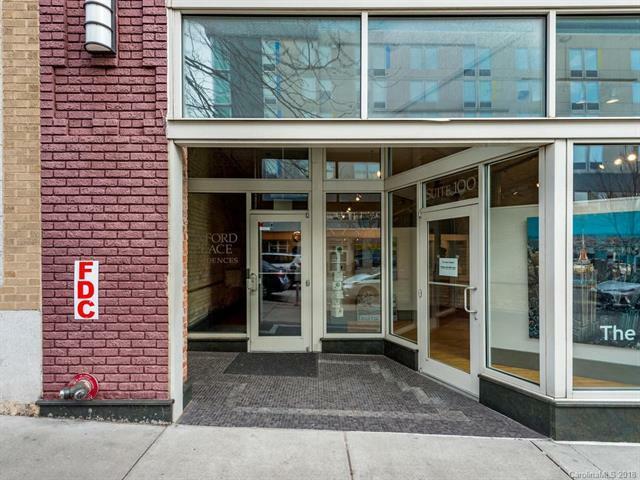 You'll love the gleaming original wood flooring and ceilings up to 15 ft in this spacious and immaculately maintained penthouse loft. Each area is remarkably designed, including a showcase kitchen w/ extraordinary cabinetry, high-end stainless steel appliances and custom concrete countertops. Spacious master suite, massive windows, French doors and an exquisitely chic bar. A brand new HVAC system and an easily-accessible parking space below. Other highlights include a whirlpool tub, spacious walk-in closets, a bonus coat closet, vessel sinks in bathrooms, washer/dryer & lots of overhead LED lighting. Your luxury Asheville lifestyle is calling!